Olatunji joined ANDE as our West Africa Regional Chapter Coordinator, based in Lagos, Nigeria, in February 2016. His past work spans across business development, management consulting and social development. Prior to joining ANDE, he was a Lead Consultant with Green Insight Solutions and a Business Development Manager for E-Green Services. 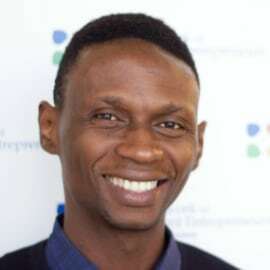 He also co-founded an online resource portal that helps micro businesses connect with funding opportunities, resources and tools to grow their businesses. He has a BSc from University of Ibadan and is a StartingBloc Fellow.